PRESSURE FRYERS There are 2 products. 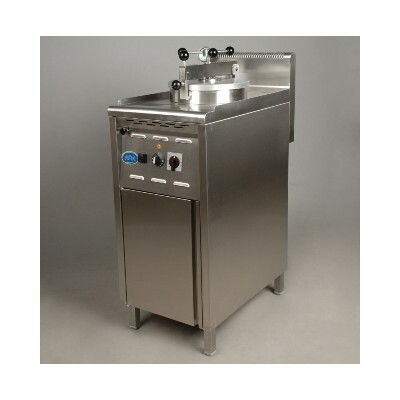 We sell commercial pressure fryers available gas or electric. Perfect for fried chicken. Brand new from European manufacturer with 12 litres capacity, free delivery and 12 months warranty. Finance available. 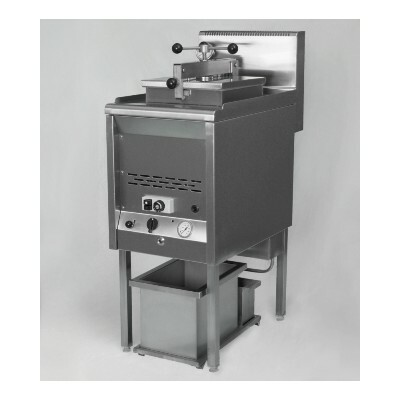 Pressure fryer is design to deep fry food under high atmospheric pressure. Usually it is coated product in breadcrumbs such as chicken or fish. Product fried this way is more succulent and it's cooked quicker. Essential equipment for fried chicken "take away" shop. Max load 2.5-3kg - equivalent of 2 medium sized chickens.